MueTec has a long-standing experience in providing customized soft- and hardware solutions for in-situ defect identification on regular or irregular structures, employing advanced pattern recognition, object analysis, object modeling, and object filtering algorithms. On request, customized programming solutions allow for a cost-effective implementation of almost any substrate analysis. Automated defect inspection is usually based on the so called “golden image principle”: images of various substrates are compared to a pre-produced template image, ”the golden image” to identify defects for subsequent analysis and classification. MueTec offers a wide range of software tools exploiting this principle for semi-automated as well as fully automated defect inspection. Many industrial applications however do not allow for the “golden image” approach due to throughput constraints or, more often, due to the high variability in the substrate design and substrate processing. 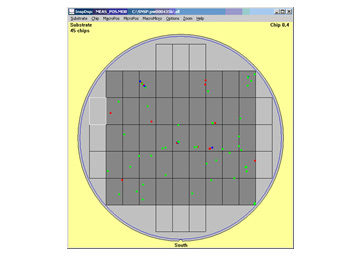 The MueTec proprietary Smart Defect Inspection (SDI) algorithm is no longer dependent on wafer-to-wafer process variations because the “golden image” calculation for each wafer is performed as soon as enough dies have been analyzed. What is defect scanning (or substrate scanning)? 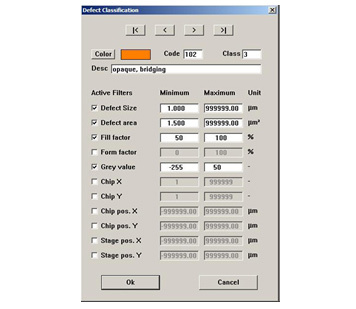 Defect scanning (or substrate scanning) describes an operation that completely images a selected area of a substrate or the complete substrate as a set of sub images. The scanning stage moves continuously either in the y- or x-direction and all CCD images are stored for defect evaluation. Stage speed and camera shot frequency are synchronized to guarantee that all areas of interest are covered. 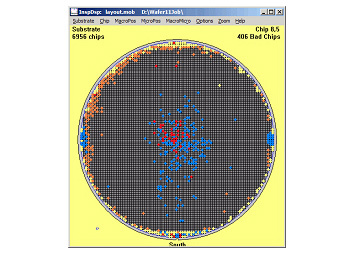 Cluster PCs process the images on-the-fly and handle a multitude of desired data evaluations. Freely adjustable filters defining e.g. defect size, defect area, defect morphology, location of the defect within the die or substrate ensure the flexibility of defect classification (defect type, defect severity) on any substrate. 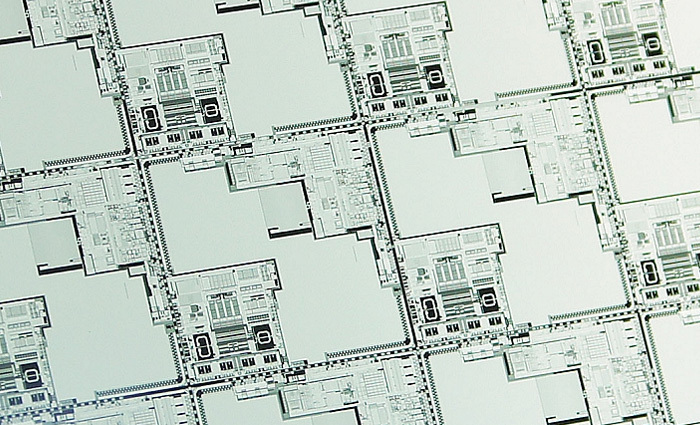 MueTec supports die-to-die inspection with unlimited die size and even covers complete wafer comparison.